In a Puget Sound island environment where severe storms and power glitches are common, managing a network of 1 data center and 38 data closets became challenging for the resource-limited IT staff. Efficient monitoring of the physical infrastructure was required so that system uptime could be maintained. 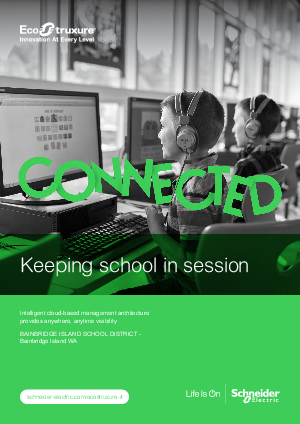 Learn how this customer was able to keep school in session and gain peace of mind.